Cortana, Windows 10’s personal digital assistant, is ready to change your life. Once you upgrade to Microsoft’s new operating system, the voice-or-keyboard activated assistant will be available to help you complete tasks, ensure you don’t miss appointments, and send emails and messages on your behalf. Originally released with Windows Phone 8.1, Cortana Get Cortana & More By Upgrading To Windows Phone 8.1 Get Cortana & More By Upgrading To Windows Phone 8.1 The Windows Phone update delivers a digital assistant, fast connectivity toggles, improved camera and greater support for a wider selection of apps. Find out how you can get it! Read More –named after the AI character from Microsoft’s Halo, one of the most popular gaming series of all time The 5 Best Video Game Franchises Of All Time [MUO Gaming] The 5 Best Video Game Franchises Of All Time [MUO Gaming] The video game industry is incredibly sequel driven. Some franchises even talk about their next game before they make the first one. Bioware, for example, decided that Mass Effect was going to be a trilogy... Read More –is going to be a key element of Windows 10. Let’s take a look at how to enable, configure, train, and (if necessary) remove or disable Cortana on your Windows 10 device. Disclaimer: This article is based on a Windows 10 Insider Preview Build. 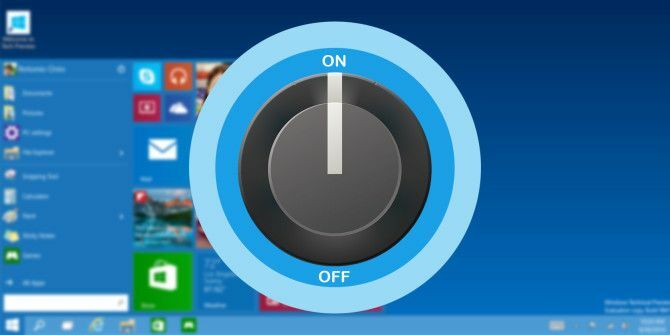 The final release candidate of Windows 10 may look slightly different. With Cortana activated, many tasks that would normally take a few moments with your keyboard and mouse can be easily uttered, your intonation detected by microphone, and acted upon by the digital assistant. To get a good idea of what Cortana can do, see my earlier posts looking at the system on Windows Phone 8.1, where it was first introduced–and Cortana is just one of several Windows Phone features included in Windows 10 How Much Windows Phone is in Windows 10? How Much Windows Phone is in Windows 10? Windows 10 is not that novel. It contains a whole lot of Windows 8 and many features that were successfully pioneered on Windows Phone. Now we all get to enjoy them. Find out which ones... Read More . In particular, take a look at Cortana as a digital assistant How Cortana Became The "Other Woman" In My Life How Cortana Became The "Other Woman" In My Life She appeared one day and changed my life. She knows exactly what I need and has a wicked sense of humour. It's little wonder that I've fallen for the charms of Cortana. Read More ; Cortana has proved so popular on Windows Phone that Microsoft has plans to roll Cortana out to iOS and Android Cortana Coming to Android & iOS, Facebook Clarifies Community Guidelines [Tech News Digest] Cortana Coming to Android & iOS, Facebook Clarifies Community Guidelines [Tech News Digest] Cortana crosses platforms, Facebook's community standards, Yahoo's password pact, 360-degree YouTube videos, Family Feud on Google, and a 1980s montage of Boston Dynamics robots. Read More as well! In short, Cortana adds appointments and reminders to your calendar, takes dictation for sending messages, does any research for you on the web, and even launches apps. Although you can use your keyboard, the best results with Cortana are achieved by using a microphone, so if your PC doesn’t have one already, dig out a mic and plug it in before getting started. Unlike early preview builds of Windows 10 Discover Cortana On Windows 10 - Her Hiding Places Revealed! Discover Cortana On Windows 10 - Her Hiding Places Revealed! Cortana, Microsoft's voice controlled personal assistant, has been starting to show up on Windows 10. This article reveals her hiding places. It looks like she will come out to play very soon. Read More , Cortana is front and center in the final (and late previews) release of Windows 10. For a genuinely powerful digital assistant, you’ll need to set things up properly. Begin by clicking into the Cortana search box, and waiting for the results pane to appear. In the top-left corner of this, click the “hamburger” menu and then open Notebook. This tool allows you to determine what information Cortana can gather about you, and the more data she has, the more she can do. Cortana will have already asked you to input your name, but you can change this and more by opening About Me. Here, set the name you want her to use. Under Settings you can enable tracking info by switching on Find flights and more, which analyses your emails for such details. The Settings screen also enables you to toggle whether Cortana responds to “Hey, Cortana” which is very similar to Android’s “OK, Google OK, Google: 20 Useful Things You Can Say to Your Android Phone OK, Google: 20 Useful Things You Can Say to Your Android Phone Google Assistant can help you get a lot done on your phone. Here are a whole bunch of basic but useful OK Google commands to try. Read More “–the system will constantly be on the look-out for you saying this phrase, and will open Cortana when it is detected. You can let Cortana respond To anyone uttering the phrase or train her to recognize your voice and respond To you only. In many cases, if you’re not in a region with a supported Cortana language, you can still activate the service by adjusting your regional settings. Ensure you have the English (United States) language pack installed How to Change the System Language in Windows 8 How to Change the System Language in Windows 8 You can change your account's system language in Windows 8, even if you don't understand it. We'll walk you through the process with screenshots. Read More ; if not, Add a language. Do this by opening Start > Settings and selecting Time & Language. From here, open Region & language. Under Country or region select United States and if you cannot see English (United States) under Languages, click Add a language and select the respective one. Finally, select English (United States) and click Set as default. But what if Cortana doesn’t understand a word you’re saying? Well, you can open Settings > Time & language > Speech and look for the box labelled Recognize non-native accents for this language. This should help in most international cases, although regional accents might be harder for Cortana to discern. While it’s fair to say that there are a handful of accents that Cortana has difficulty with, the vast majority are easily understood, and those that are not can be added to her database with some training. To train Cortana, open the menu and and go to Notebook > Settings, scroll down and click or tap Learn my voice. You’ll then be prompted to start talking to Cortana, so that she can get an idea of how you pronounce and intone particular words. In the majority of cases, she’ll be able to detect your commands within a few minutes of training. As a denizen of the sprawling industrial wasteland that is the North East of England, I have an accent that is described by those from elsewhere in the country as part Yorkshire, part Geordie (Newcastle). Regardless of how galling that description is, it remains an usual accent, rarely heard on TV, radio or in the cinema, but Cortana has got a handle on it, and probably will with your tough accent too. Once you’ve trained Cortana to hear your voice accurately, get started with these three commands, which will give you a good idea of what she can do. Create a meeting with Tyrion Lannister at noon tomorrow. When Rose calls, remind me to ask her to pick up something for the BBQ. Wake me up at 5 am tomorrow morning. When Cortana was first released on Windows Phone 8.1, she didn’t have the same depth of questioning and functionality that she has now. It is safe to say that Microsoft will be adding more to Cortana in future Windows 10 updates. 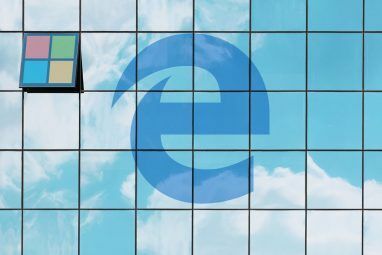 Already you can request information about topical news, stocks and shares, have Cortana play tunes, get information on flights and weather, connect her to Office 365, and much more. Our previous look at Cortana on the desktop Cortana Arrives on the Desktop & Here's What She Can Do for You Cortana Arrives on the Desktop & Here's What She Can Do for You Is Microsoft's intelligent digital assistant as competent on the Windows 10 desktop as she is on Windows Phone? Cortana has a lot of expectation on her shoulders. Let's see how she holds up. Read More shows you how to do much more with Microsoft’s digital assistant. Cortana knows a lot about you; perhaps even more than your partner. What she knows is stored in a secure online database attached to your OneDrive cloud How To Best Use Your 15GB Of Free OneDrive Storage How To Best Use Your 15GB Of Free OneDrive Storage OneDrive gives you a healthy dose of cloud storage for free. Let's take a look at what you can do with that. Read More , but if you’re concerned about this, you can visit an online settings page and adjust how much information is stored, or even delete it entirely. To do this, open Start > Settings and select Privacy. From here, find Speech, inking & typing and look for Manage cloud info. Use the Go to Bing and manage personal info for all your choices link to make changes to what Cortana searches for and retains. In the Personalization tab you have the option to Clear favorites and interests in Cortana, which for the sake of privacy you should use if you want to keep Cortana’s data collection under control. You might also use this button to tidy things up should you decide to disable Cortana. Cortana Not For You? Disable Her! Cortana is probably Microsoft’s greatest productivity tool Microsoft Is Nurturing Cross-Platform Productivity Tools Microsoft Is Nurturing Cross-Platform Productivity Tools Microsoft's collection of productivity apps is ever growing. We have compiled an overview of the apps that keep you working smoothly. We also explore how new additions will enhance the current suite. Read More since it released Microsoft Office, but it isn’t a suitable utility for everyone. If you don’t feel that she is something you’ll use, or she’s annoying, then you can disable the digital assistant. This is easily done by opening Cortana > Notebook > Settings and switching Cortana to Off. If you never plan to use Cortana then you might like to stop her for collecting information on you. Return to Start > Settings > Privacy > Speech, inking & typing, and select Stop getting to know me to completely disable Cortana, confirming your action by clicking Turn off. Have you used Cortana? Are you planning to? What do you think? Windows 10 will become a productivity hotspot with the service enabled, but do you prefer to set your own calendars and look for your own news updates? Tell us what you think in the comments. Explore more about: Microsoft Cortana, Virtual Assistant, Windows 10, Windows Upgrade. What I want is to block Cortana from reading confidential emails and chats and sending the contents to MS headquarters. I've blocked her from listening to everything that's said near the computer and sending it to them. Cortana is a skank that wishes to do you harm. Remove her. Cortina is the worst application and useless assistant I have ever encountered. I am not saying some people might find it useful. Attempting to personalize my new PC to disable it insultingly obnoxious in the manner that microsoft refuses to acquiesce to my simple but RIGHTFUL request to DISABLE THE APPLICATIONS THEY ARE SHOVING DOWN MY THROAT! I don't want this software on my laptop at all. Disabling it is not enough, I want it removed permanently. but how do you uninstall cortana? it's especially a niusance on a phone, and when disablede it just switches itself back on. i don't need it, don't like it, and don't want it, and as it is my phone and pc, i want to completely uninstall it. i learned some scripts for powershell to ndo so, but MS seem to have prevented this script from completing in recent updates it would appear. please please please how do i uninstall it? Absolutely right! It will take me a while, but I am researching and studying open source software, including operating systems. It will take a long time to transition completely, but I am determined to do so. Switching to an open source operating system is not as difficult as it seems. Do some research on open source Linux distros, for example, to find the desktop environment that suits you best. The coolest thing about open source distros is the availability of customization. If you don't like something about an operating system, search how to change it(for example, I really dislike Windows' file explorer; were I on Linux, I could search how to install a new file explorer and find the steps to do so, allowing me to test different options. The same is true for start menus, desktop environments, etc.). 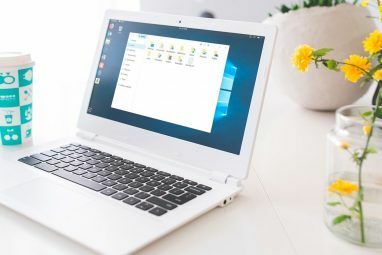 For a new user to Linux, Ubuntu is a great choice, as well as Linux Mint, Elementary OS, things like that that have a point and click software management center. Absolutely hate it. WIll never use it. FInd it intrusive annoying. Harrassing. Do not want to be talked at by my laptop. I want to remove this stupid app and need to know how to remove all and NOT just to "disable" it. I did NOT ask to have it installed in the first place! Microsoft should include a way to completely uninstall Cortana, for cases where a person really does not want it. I don't like that I'm forced to have this new Cortana feature on my computer. although I have disabled her in every area I believe is possible, the fact that it says Cortana would and does know more about me than my partner feels like a major privacy invasion. I don't like this new feature and would like to have it removed completely. All I want to know about Cortana is how to rip it out by the roots while still keeping a BASIC local search function. Can't be done, as I understand it. Certainly not at present. 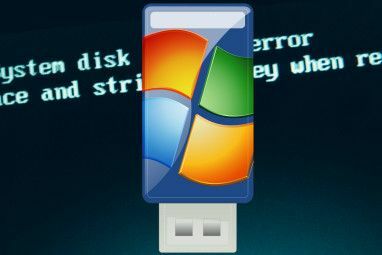 There's a semi solution, you first have to remove Cortana like described here http://superuser.com/questions/949569/can-i-completely-disable-cortana-on-windows-10, then you can use the old win8 search and pin it to the taskbar. I'm not on my main PC atm so I don't remember the path of that old search but it is somewhere in system32. Make a shortcut to the Desktop an then you can pin it to the taskbar. I am keenly waiting for Windows 10 its seems like an outstanding update. Features which was incomplete in other editions of Windows will be able to view in Windows 10.